Your Persian cat will depend on you throughout its life which is typically about 15 - 20 years. Can you properly care for a Persian cat and provide a stable home for its lifetime? Statistics show that over 50 percent of all cats change owners at least once in their lifetime. Do you find that statistic as appalling and alarming as I do? View our recommended Supply List for Persians which includes toys, grooming supplies, bathing supplies, and more! Can You Afford a Persian Cat? The initial purchase price of your Persian kitten is not the most expensive cost as there are other costs over the cat's lifetime. Those costs include food, litter pans, litter, toys, scratching post and cat trees, and veterinary care. Veterinary care (without taking into consideration any catastrophic health problems) will run you about $100 - $300 per year. Preventive and consistent care are vitally important to your Persian's overall health. If you cannot afford veterinary care, you should not get a Persian cat. Additionally, depending on where you live, you will need to budget anywhere from $70 - $300 to get your Persian cat spay or neutered. Many people believe that because their cat is an indoor cat, it does not need a rabies vaccination. However, have you considered what will happen to you and your Persian if your cat bit someone while in your home? First of all, the authorities may well remove your Persian cat from your home and quarantine it for about 90 days (at a cost to you for boarding and care); if on the off chance your cat shows signs of rabies it will be destroyed. Check with your veterinarian to find out what vaccinations are required by law in your area. What Breed of Cat is Best For You? Of course, we believe the Persian cat is the best breed of cat. However, a Persian is not the best fit for everyone. All kittens are cute, and most people fall in love with a cat or kitten because of its look. However, you need to consider the breed characteristics of each breed. For example: how much grooming will the cat require, how much will it shed, how playful or active is the breed, how big will the cat get? Do you need a cat that gets along well with children or senior citizens? Do you need a cat that gets along with your dog? Do you desire a cat that is calm and loves to cuddle and will sleep with you at night? These are just a few of the things to consider before bringing a cat home. Should You Get a Kitten or an Adult Cat? An adult cat can "bond" just as well as a kitten with a new owner. Animal shelters - While many shelters are no-kill, most are not. Getting your cat or kitten from an animal shelter may well save it from being put to death. Typically, you should look for a cat that looks clean, healthy, with a shiny coat and clear eyes. Ask to visit with the kitten or cat in a private area to see how it will interact with you. How friendly is it? If the kitten or cat appears lethargic, it may be best to look at another one as this one may be sick. Ask the actual caregivers of the cat or kitten for any information they may have on it. Ask why the cat was surrendered to the shelter. Keep in mind that many people do not always tell the truth to shelter personnel when they surrender their pet. So, sometimes the shelter may not be aware that this cat or kitten may have undesirable behavioral traits (i.e., not using its litter box) or have some major health concern. Many shelters will have already spayed or neutered the cat or kitten. 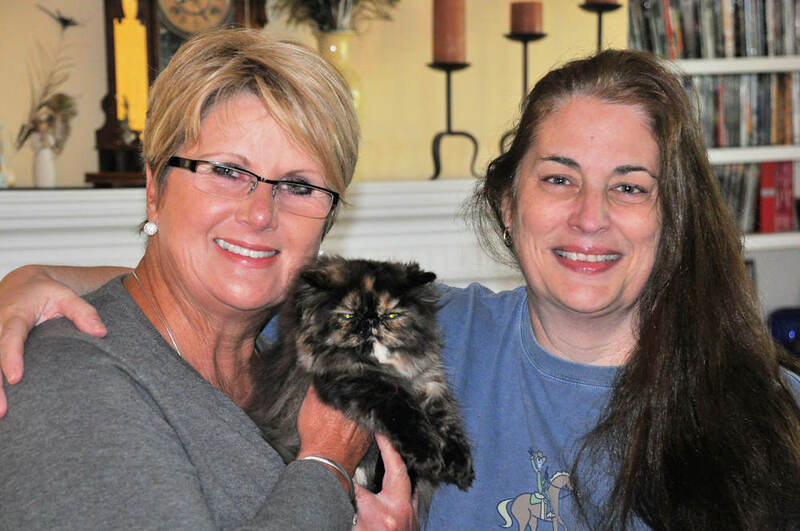 Do not overlook the adult cats and Persian cat rescue organizations. Persian cat rescue organizations. Responsible Breeders - To find a purebred kitten or cat, I think it is best to locate a responsible breeder. To find such a person, you can go to a cat show, or nowadays, there are many show breeders, as well as hobby breeders, that have websites. To locate a breeder in your area via the Internet, use a search engine (i.e., Yahoo, Google, etc.) and type in Persian cat Ohio (if you were looking for Persian cats located in Ohio). Some breeders advertise in Cat Fancy or other such publications. However, my experience with Cat Fancy is the breeders that use this magazine are more often than not kitten mills. Cat shows are a great way to see the different breeds of cats, meet breeders, and ask questions. There is an excellent article on this website for a more in-depth explanation on finding a responsible breeder. Listen to your intuition; if you feel anything is "not right" about this breeder, go to another one. Pet Stores - A responsible breeder will not allow their kittens to be sold in a pet store or other resale outlet where they could not personally interview the buyer to make sure they are aware of the responsibility of caring for an animal. Most responsible breeders belong to breed clubs and sign a breeder's code of ethics which prohibits them from selling to retail outlets (pet stores). Personally, I never frequent pet stores that sell kittens and puppies. I only buy supplies from either an on-line pet supply place or from stores that do not sell puppies and kittens. If enough people stopped frequenting stores that sell animals, they would get the idea that people were not going to tolerate the resale of puppies and kittens and either go out of business or only sell pet supplies. Some stores (i.e., Petco, etc.) do have cats for adoption through a local animal shelter. Make sure that the adoption procedures comply with that shelter's normal adoption process. Private Sources - Sometimes, if their owner can no longer keep an adult cat, you can locate an adult cat through your local newspaper, grocery store bulletin board or veterinarian's office. As long as you can meet the person, observe the cat in its home environment, and make sure the cat is healthy, I do not see any reason not to get a cat this way. Many people advertise kittens for sale in the newspaper. Make sure the kitten is at least 12 weeks of age, is properly litter box trained, and healthy. However, most responsible breeders do not advertise in the newspaper. Getting a cat is a lifelong commitment of not only your time, but your money, to keep them in food, toys, and proper health. If you cannot afford, not only the initial cost of the cat but the veterinarian expenses, vaccinations, the cost of spay/neuter, etc., then you should not get a cat until you can afford one.